It's been a few months since I've touched this project, after house remodeling and school starting, but I'd like to finish what I started. 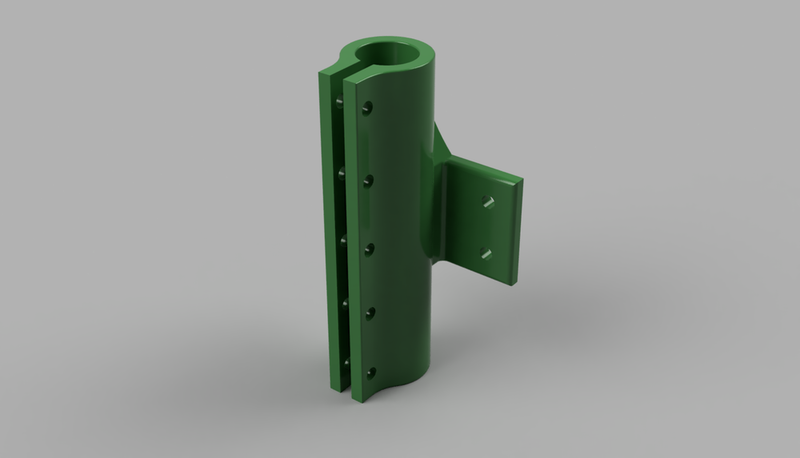 A month ago I made this simple 3D model of one of the parts I'd like to make, without the clamping mechanism involved. More information can be found in the previous documentation below. The below pdf is my prototype report for the first prototype, not the second one which is pictured.